Welcome to another book spotlight, my friends! 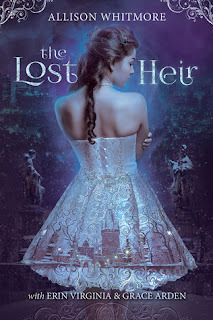 Today, the bright lights are trained on The Lost Heir by Allison Whitmore. Do you love Fantasy? Do you love gorgeous covers? I think this is something you'll want to pay attention to. With morphlings, empaths, and fair folk also comes a powerful entity that twists her mind into knots, threatening everything she loves. Now, Isabella and her new friends—a guitar-playing jock, his gifted but neurotic brother, and a set of over-indulged twins—have until her 16th birthday to save her world with the help of someone who’s been lost for a very long time…the lost Foxworthy heir. But will they find him in time? And will he be a friend or foe? Can we all just take a minute to fall in love with this cover? I can't be the only one who thinks it's absolutely stunning. When I read the synopsis above, I fell even more in love. Empaths and fair folk in one book? I'm sold. If you need more convincing, check out the excerpt below. The sun was beginning to set and the bright day had begun to dissipate as dusk slowly fell over the Culver Hills village center, if one could really call it a village in the middle of Los Angeles. The air grew dense and musty. All the street lamps were off except one, which flickered in a slow, steady beat. Only a small number of cars cruised the road as the kids walked down Main Street toward where the Foxworthy Hotel was perched at the top of the hill. This dark stillness was not usual for this time of day. Something was off. They looped around the corner as the bullies flew up the service road that led to the back of the hotel. Before they could get too far, four figures in black appeared; from where, Isabella could not tell. Two grabbed the boys. Another took Xander’s backpack. Seth and Isabella both stopped. Cold licked Isabella’s heart. Not an eerie cold, but like a soothing glass of cold lemonade on a scorching day in July. He pushed the backpack into Isabella’s arms. Her vocal cords decided to twist into a knot, so she was unable to say thank you. The trolley was nowhere in sight, which was more evidence to Isabella that something was not right. From the bottom of the hill, the hotel was as dim and desolate as it had appeared from the center of the village. With heavy legs, they began up the hill. They climbed the front steps and walked into the lobby. Candlelight dotted the room. Elyse was the first person to approach them; her waitress apron was undone, her hair out of place. 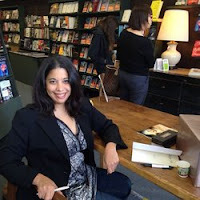 Allison Whitmore was born in Los Angeles and loves to tell good coming-of-age stories with a hint of romance. You will find her characters going on an adventure or two as well. Outside of writing, Whitmore enjoys classic films, hiking and spending time with family and friends. She loves it when fans reach out to her. You can reach her at allisonwhitmoreauthor@gmail.com, follow her on Twitter: @alli_whitmore or join her on Instagram @allisonwhitmoreauthor.